California has finalized its rules governing the nation's largest legal marijuana market, a milestone coming more than a year after the state broadly legalized cannabis sales for adults. But a dispute over home deliveries into communities that ban pot sales could end up in court. The hundreds of pages of dense regulations are unlikely to resolve other disputes, including how purity and potency tests are conducted for infused cookies and other products. Even if imperfect, the rules were welcomed by many in the industry, who have been contending with shifting temporary regulations since California kicked off broad legal sales last year. "Love it or hate it, California has regulations for commercial cannabis," said Hezekiah Allen, chair of cannabis growing cooperative Emerald Grown and former executive director of the California Growers Association, an industry group. "There are no asterisks." "Do these solve every problem that exists in the cannabis business regulatory regime? Absolutely not," said Assemblyman Rob Bonta, a Democrat from Oakland who said the rules nonetheless create a strong foundation for a market that has gotten off to a shaky start. By far the biggest dispute focused on deliveries. 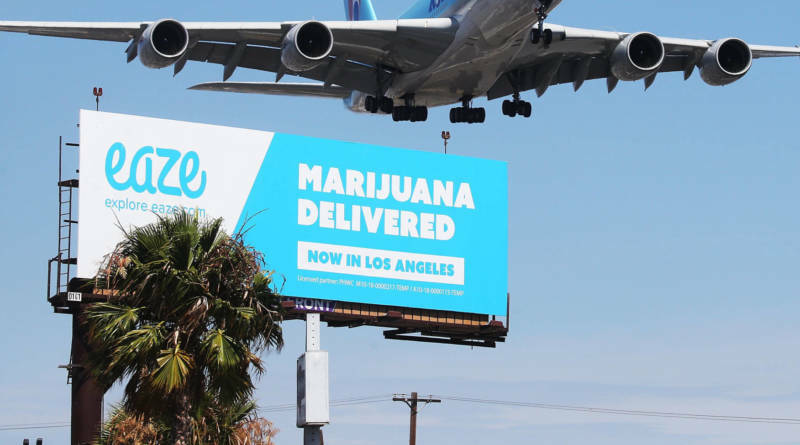 The rules released last week will allow home marijuana deliveries statewide, even into communities that have banned commercial pot sales. "This decision puts the public safety needs of communities across the state at risk," league executive director Carolyn Coleman said in a statement. Kenny Morrison, president of the California Cannabis Manufacturers Association, said California failed to examine the experience in other states, which in turn has created costly problems for California companies with labeling and testing. Industry officials have complained that the state rules force growers and manufacturers to hit too tiny a target when gauging levels of THC, the psychoactive chemical that causes marijuana's high, in products. Rules require the THC concentration come within 10 percent of what is advertised on a product label. Company executives say some products are being rejected after landing outside the margin by small amounts, and that hitting that required range is even more difficult with low-dose products. "Nobody cares more about the quality of the product than the manufacturer," he said. Ruben Honig, executive director of Los Angeles-based United Cannabis Business Association, said the state's biggest challenges remain cutting hefty tax rates that can approach 50 percent in some communities and cracking down on widespread illegal sales.